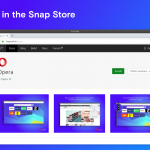 You don't need to worry about Opera becoming a clone of something, or that you will be forced to stop using 12.x before you think we're ready. Our mission didn't change – we're going to bring you the best Internet experience. We are on the way to build the best browser out there. A browser that is not tied to the particular version number but is a continuously work in progress. Seeing your engagement I think we can count on your help and feedback. 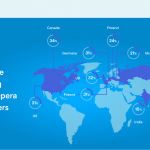 So if something is not in Opera 15 stable – don't worry, Opera Next 16 will be released roughly same time as Opera 15 stable. And the time span between the two will be shorter than ever. We got a long list from you yesterday. Yes we made a list! As we have mentioned in the comments and we want to say it loud now – more features will come in future versions. Just to mention Link, themes support, geolocation and a feature rich tab bar to start with. Some are already in the making – just disabled since not stable enough just yet. Over the time also our settings/configuration will become richer too. And one more – Dragonfly is not dead though we cannot give you more information yet.